Many of us have been left collections of china and other items by grandparents and other relatives. While china often has sentimental value, it sometimes has monetary value as well. If you want to insure your china or sell it through an auction or shop, it’s important to know the going rate for items made by the same manufacturer and in the same condition. Identify the maker and pattern of the china. Often makers leave stamps or marks on the bottom of each item. Mygrannysatticantiques.com offers a visual encyclopedia of makers’ marks on china. Once you identify the maker, visit the maker’s website for a catalog of patterns. Write down this information, as well as anything you remember being told about the china, such as when and where your grandmother bought it. Examine each piece of china carefully and make a note of any damage, including cracks, chips, faded coloring or faded gilding. It’s helpful to draw up an inventory of the china in a spreadsheet or on a pad of paper, numbering each item and describing its condition. Get a rough estimate of your china’s value by looking for similar pieces on china collectors’ sites, auction house sites, and on eBay. Gailsfinechina.com and onlineauction.com often feature fine china. 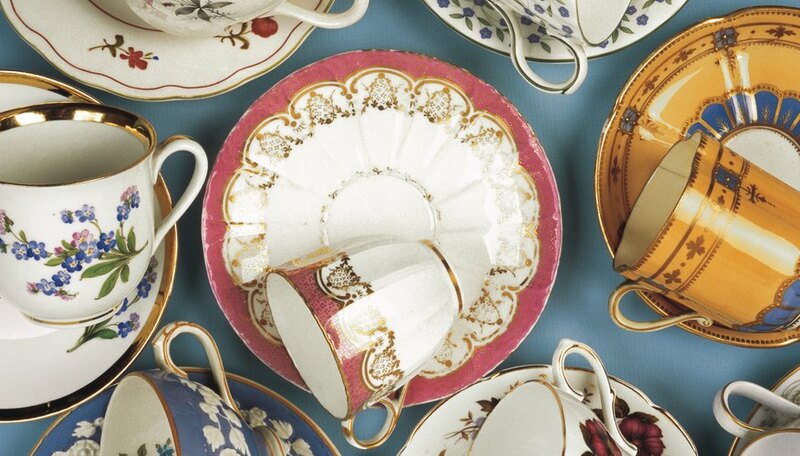 Take your collection to a dealer of fine china for a formal appraisal. You’ll need to have a certified appraisal if you want to insure the china. Carefully package your collection and take along your inventory with you to your appointment. Most auction houses have an in-house china expert who can provide you with exact information on the value of your china. You can find a list of auction houses in your area at artnet.com’s Auction House Directory.